Sunglasses are the ultimate accessory, and Gucci sunglasses for men are a step above the rest when it comes to sophisticated, original and timeless styles. Gucci has grown to be one of the most recognizable and well-respected brands in fashion, particularly for its inspired eyewear collections, and their men’s range is no exception. This collection of the best Gucci sunglasses for men has something for everyone, from the unique and creative to the traditional and classic. A simple yet stylish design, these Gucci pilot frames are decked out in the classic Gucci colors. With a warming gold tone running along the sides of the frames and a gradient lens, this pair of aviator sunglasses will have you looking like Tom Cruise in Top Gun in no time. This classic style will never go out of fashion, making it a must-have accessory for any man’s wardrobe. These contemporary 0010S-001 Gucci sunglasses have a black plastic frame and a stylish rectangle shape that will go well with any outfit. 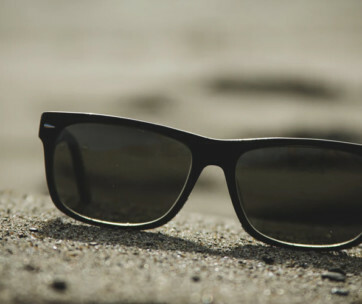 They provide complete UV protection as well as being constructed from impact-resistant materials that ensure you won’t have to replace them for years to come. The kind of craftmanship that’s to be expected from Gucci is evident in this timeless style that’ll become one of your most coveted pieces. If you’re looking for something a bit more unique and unusual, the unconventional shape of these pilot frames is perfect. GG0009S Green Gucci have a sporty yet on-trend look to them, with an acetate front and a rubber co-injected temple which has the characteristic grosgrain insert that takes its inspiration from Gucci’s accessories. This look is one that stands for stylish design and confidence, and with premium materials and complete UV protection, you’re covered on a functional level as well. Our handy guide to the top sunglasses for men features more great products like this. If anyone is able to add to an already hugely popular design, it’s Gucci – the fashion giant has been a key player in designing great eyewear pieces for decades. Available in a range of colors but all with the same unique oval shape, these GG0009S Blue Gucci aviator shades are a must for collectors of designer sunglasses – an unusual take on a style we all know and love. They have a full-rim design with oval lenses for a bold and streamlined look that’s genuinely cool. With frames as stylish as these, sunshine is optional – you’ll be wanting to sport these all the time. 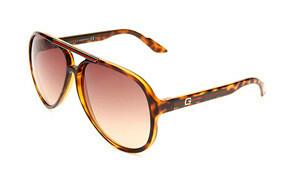 This GG0017S Polarized Gucci design has an on-trend appeal that makes them a versatile statement piece for any man’s outfit. This frame has been specially designed for guys, with clear lines and a modern-meets-old school quality. Refined and timeless, they’re a perfect reflection of Gucci’s sophisticated style. The oversized square shape has a minimalistic and understated look, and the acetate frame is lightweight and durable – these are built to last. The fully tinted lenses help to block out harsh sunlight and give 100% UV protection. 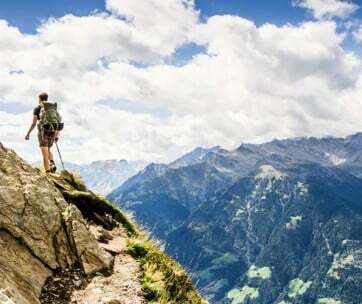 Make sure you also check our hiking sunglasses review, for more great products like this. The best Gucci sunglasses are those which are a riff on a classic style, and the 1627/S offer just that. Aviator sunglasses can look bulky and oversized sometimes, but this design is the exception to the rule. The smaller plastic frame still looks substantial but not awkward, and the different colored frame and lenses nod to the classic Gucci style that we all know and love. These are sure to become a perennial favorite and will work with so many outfits, from smarter tailored looks to casual wear during those summer visits to the beach or park for a kickabout with friends. These GG0124/S 003 classic Gucci sunglasses for men have an acetate frame and nylon lenses, with a full rim style and undeniably cool aviator shape. They’re ideal for pairing with different looks and give a unique and fashionable edge to any outfit. 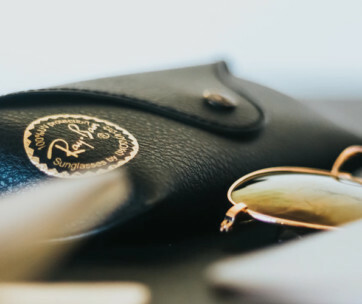 Gucci are famous for their aviator and wayfarer styles, and these sunglasses are evidence of why this shape has remained so popular over the years. The aviator design is the perfect casual and eternally on-trend style that will continue to look great no matter the occasion. Be sure to also check out our Ray Ban sunglasses review for more great items like this. Sleek and masculine, with a bold black frame and larger style, the 0078 design works well for guys who want the perfect mix of modern and traditional. They’re the perfect accessory for summer, whether you’re heading to the beach with friends or on the way to the office. The Gucci strips along the arm give a subtle nod to color without being too over the top. Effortlessly stylish, this is one of Gucci’s more refined offerings, meaning it works with just about anything you’re wearing. Embrace your distinguished side with a pair of Gucci’s dark Havana sunglasses for men which are designed to upgrade any look immediately, from a tailored suit to shorts and a t-shirt. This design is all about understated style, so the men out there seeking something fashionable and cool need look no further. The design is classic and simple, with an angular frame and a dark yet warm tortoiseshell color that works well with virtually any colored outfit. This makes a perfect gift for manly man as well. 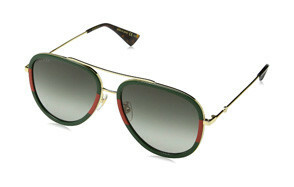 Gucci have taken the iconic aviator look and added their usual dose of flair to it with the 1827 design. This stalwart of the Gucci collection is a perfect addition to any sartorial choice, providing the fine Italian craftmanship and expert construction that the brand is known for. The enhanced lines of this super chic style create a bold look and the retro-inspired lenses create a distinctive look. The 1827 frames are distinctive enough to make a statement while still being suitable for everyday wear, so you can be sure you’ll get plenty of use out of them. An effortlessly cool style that would amp up any guy’s ranking in the fashion stakes, the wayfarer design of the Gucci 001’s is synonymous with the king of cool – James Dean. A celebrity favorite, this angular style is ideal for adding a rebellious edge to an outfit and will eternally be on trend – if you’re going to invest in a pair of sunglasses that will see you through years of wear, these Gucci frames won’t disappoint. This style somehow manages to be flattering on just about anyone, so if you’re the kind of guy who feels like they can’t pull off shades, this is the shape to go for – it will work with almost about any outfit, smart or casual, and for any event. If you’re looking for a pair of attention-grabbing sunglasses, Gucci’s 0171S is the pair for you. This contemporary take on a classic style is sure to turn heads and manages to be both unassuming and striking at the same time. Part of Gucci’s cutting-edge 2017 range, the plastic black frame has bold lines with a subtler curve to the lens beneath for the best of both worlds, topped off with a modest Gucci logo in the classic colors on the arms of the frames. The gray lenses are classic and neutral enough that they they’ll serve well for everyday use. Day or night, these frames are a fashion statement that guys ahead of the style curve will feel great wearing.